You keep learning new things to do on the mat. And one of the things I am tripping about currently is the subject of drishtis -- points of focus. For someone like me who has had to really struggle with balance (as a high vata person), drishtis are natural props. I cannot go ahead anywhere on the mat without the support a drishti provides. It is equally hilarious to see how people who claim to be fixated on the mat, and who even hold the drishtis, still extrovert the mind towards others in the class. And it is as if the main purpose of the drishti is totally lost on this person. As a teacher, you often struggle to reach this point across -- but it is difficult. 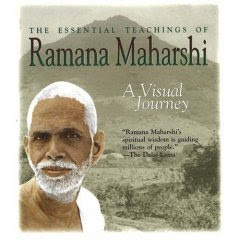 As Ramana Maharishi explains the energy chooses its devotees. So, I wonder sometimes this too --this extroversion of the spirit of some yogis -- is also just a game being played out by Maya. Even a teacher cannot quarrel with THAT! * Whereever eyes are used, a natural trataka (yogic eye fixation) is established. And this said to cleanse the mind. 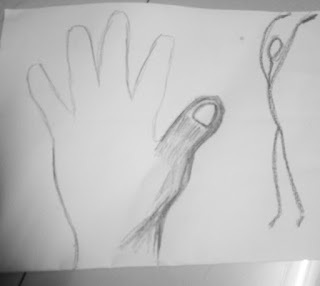 * In marma (energy points in the body) the thumb point covers the energy points of the other fingers as well. * In martial arts, a hit on this part of your hand can disable you. * The thumb is also connected to the eyes in marma therapy. * In reflexology so many points are stacked up in the thumb -- pituitary, the adrenals, kidneys, pancreas, thyroid, parathyroid. * In mudra therapy the thumb represents the element of fire -- and is used to transmute and control other four elements due to this power. so you can tweak so many important aspects of your mind and body. And of course, the introversion will bring you closer to the cosmic truth.